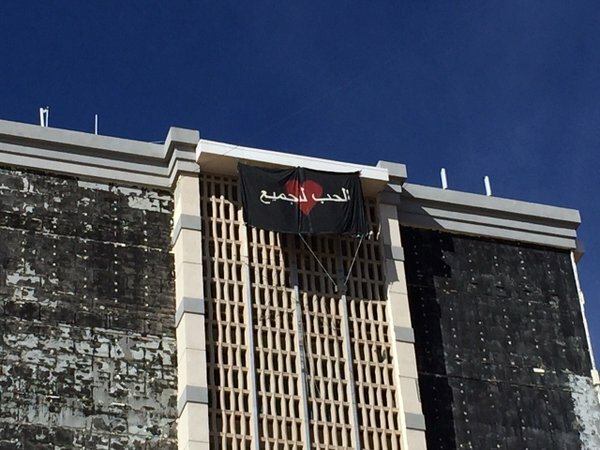 The mayor of a Texas town is calling for Homeland Security and the FBI to investigate a large flag with Arabic writing found hanging off a downtown building. 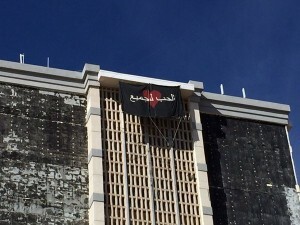 Huffington Post reports that the flag read, “Love for all,” in Arabic. But Lubbock Mayor Glen Robertson said he’s still “concerned on several levels” and wants federal authorities to investigate. “I fully understand that we must gather more facts before we make a knee jerk reaction but I am concerned on several levels,” he added. The flag, which includes a heart, was posted around Valentine’s Day. Here are Best And Worst TSA Checkpoints in U.S.
Posted: 2/17/16 at 9:07 AM under News Story.